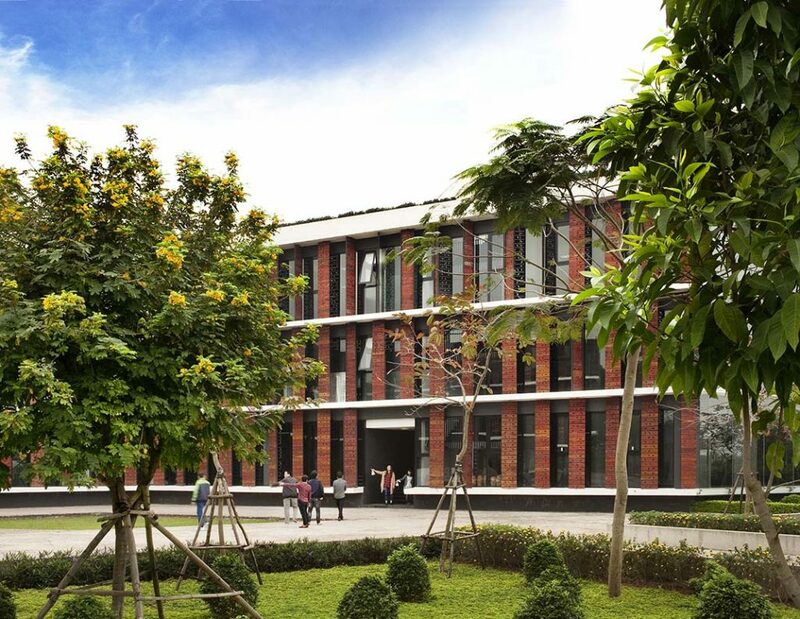 Located in the suburbs of Hanoi, 30km from the city centre, the High Tech Village 4 is the first building completed of the High-Tech Park master plan. The concept idea of Village 4 is the same as the whole area. Inspired by the traditional Vietnamese village and its mode of organization, it brings to its users a perfect autonomy and gives the feeling of being in a small city open to nature. 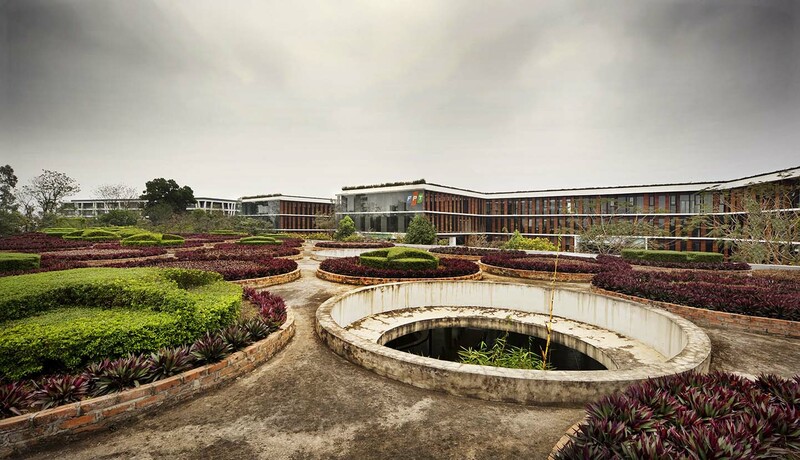 Designed as an office building, the project abides by the principles of sustainable architecture. From the basement to the top, natural ventilation, natural light, ergonomic office space, solar energy, flexible areas, a circulation strategy and a structural system create an entire universe which answers to the different need of the users every day. A building is built for a long period of time and the way it is used can change and evolve in its lifetime. The Village 4 has been designed to be able to adapt itself to any needs and space requirements. The structural grid offers wide flexibility for every floor. Small or big offices as well as closed or open space, fit perfectly at any place in the building. The facade plays an important role in the development of the building, it reinforce its sustainable side by managing the natural ventilation and the natural light, confirming from the outside the features of the layout. 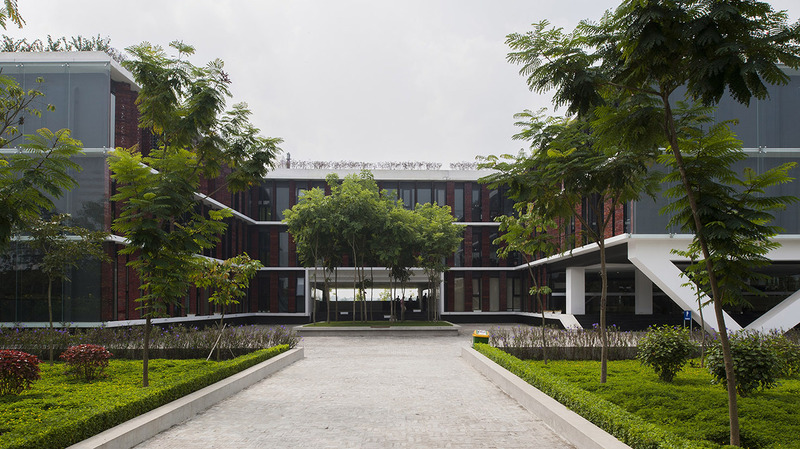 In order to be extremely efficient, the facade adapts itself to the context and orientation. A glass facade with wooden shutters controls the sun coming in and the privacy of each space to the north, and an alternation of wall and windows covered by layers of vegetation provide shadow and identity. At each floor, a horizontal sun shading circles the building and unifies it.